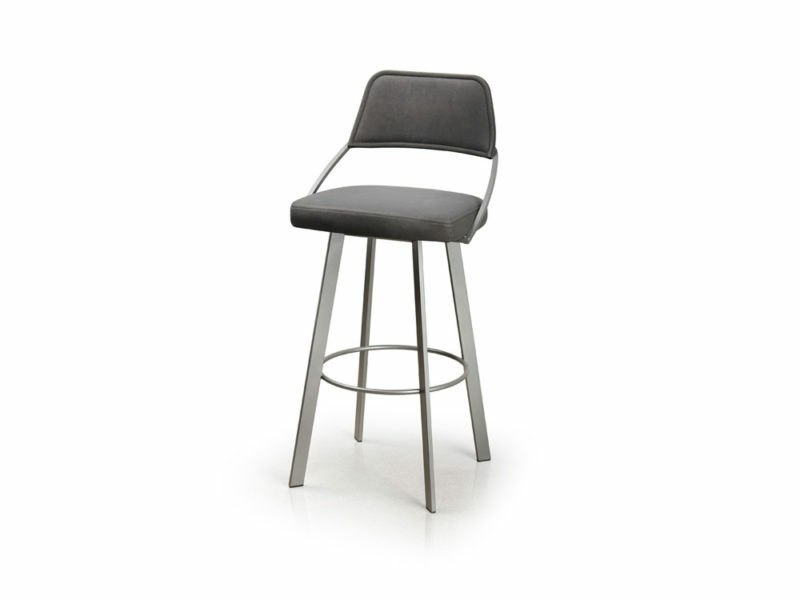 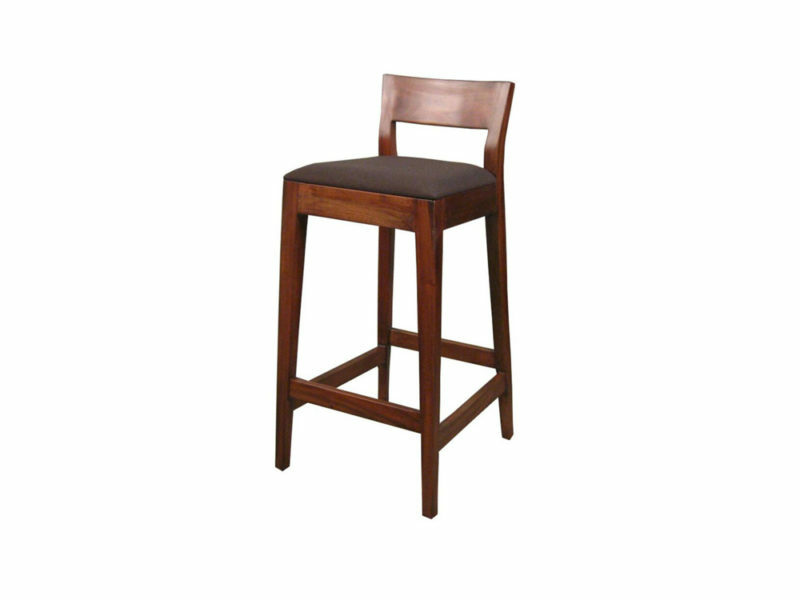 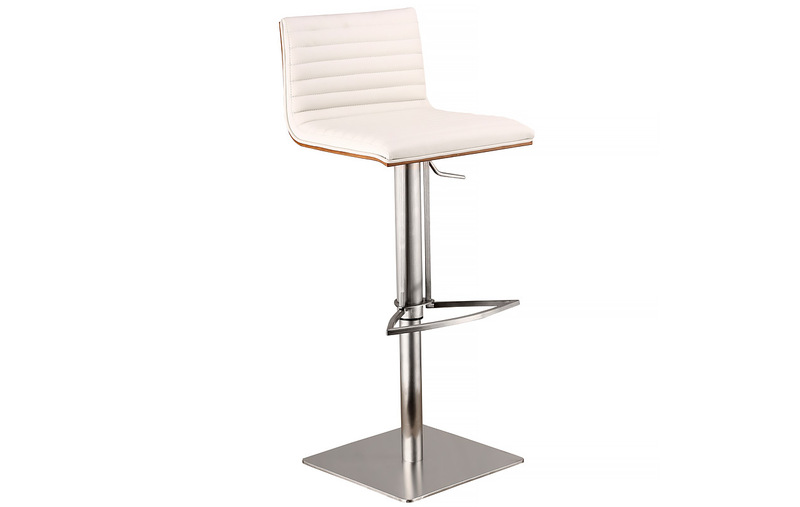 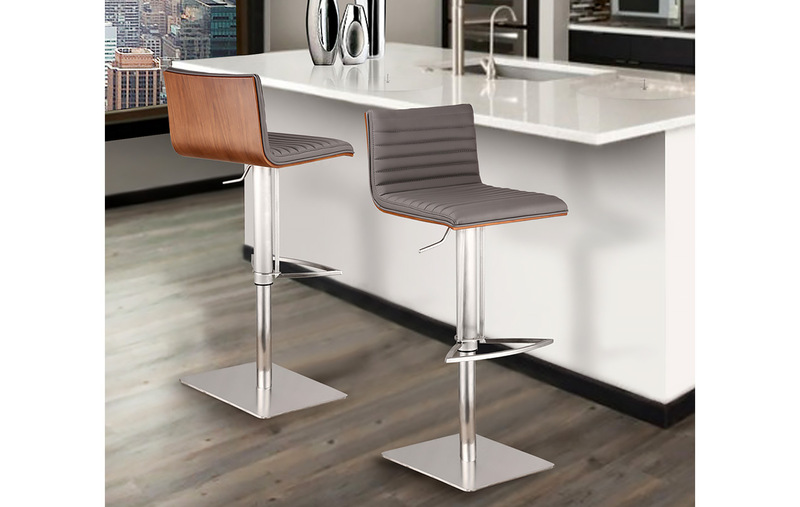 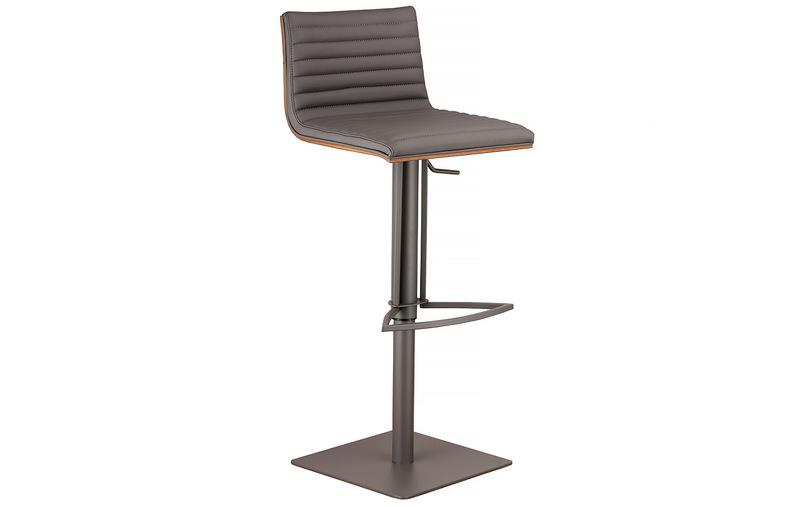 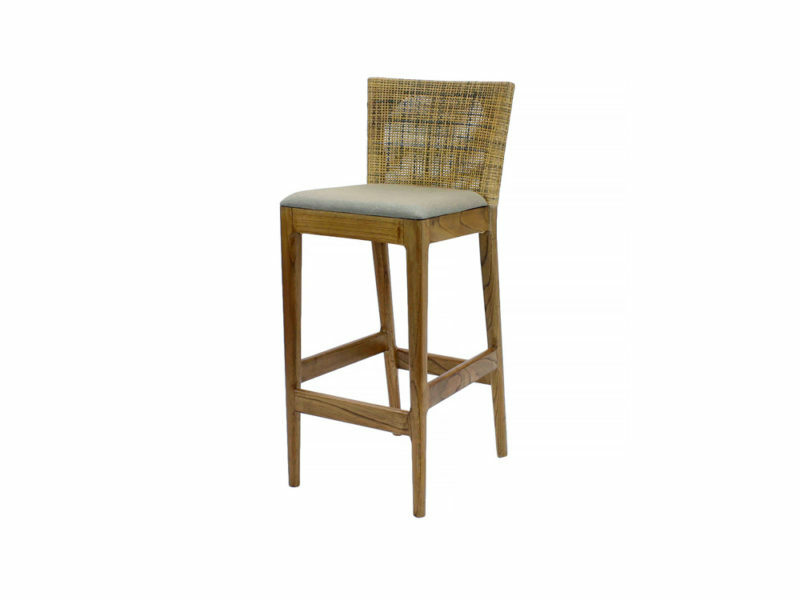 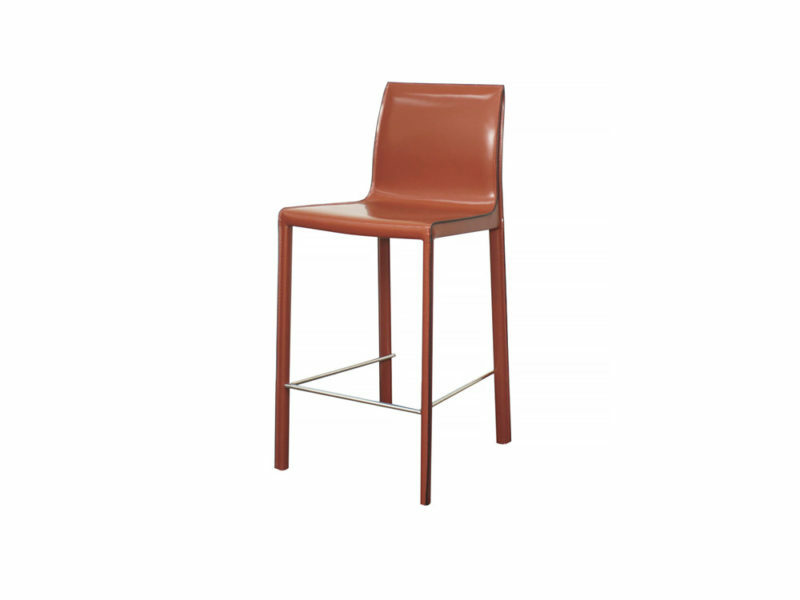 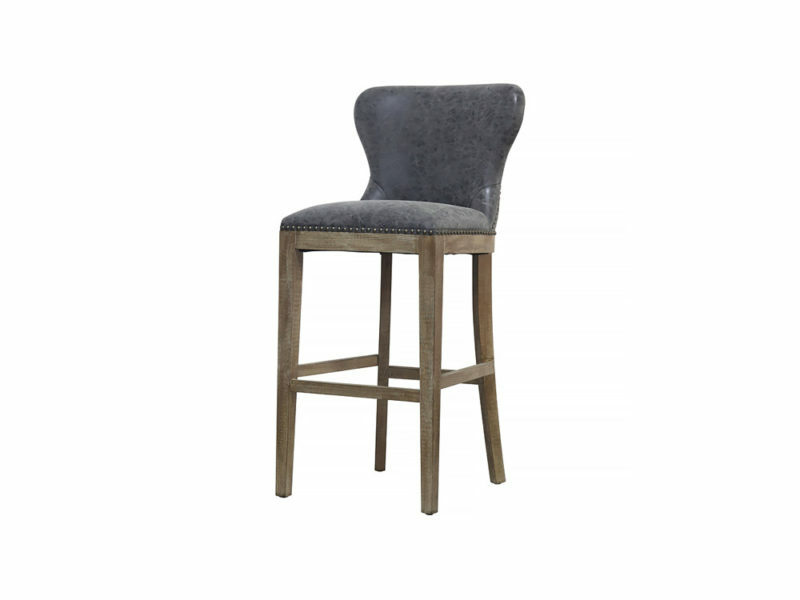 The Calvin is a brushed stainless steel modern bar stool that has optimum support and comfort, with a breathtaking walnut wood back. 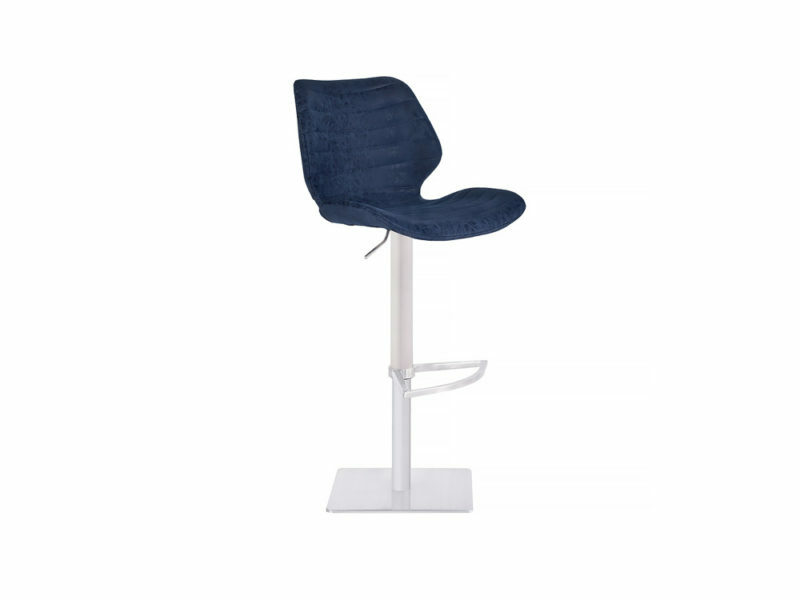 It swivels 360 degrees, seat height can be adjusted from 21” up to 31” high, making this stool a very flexible piece in any household. 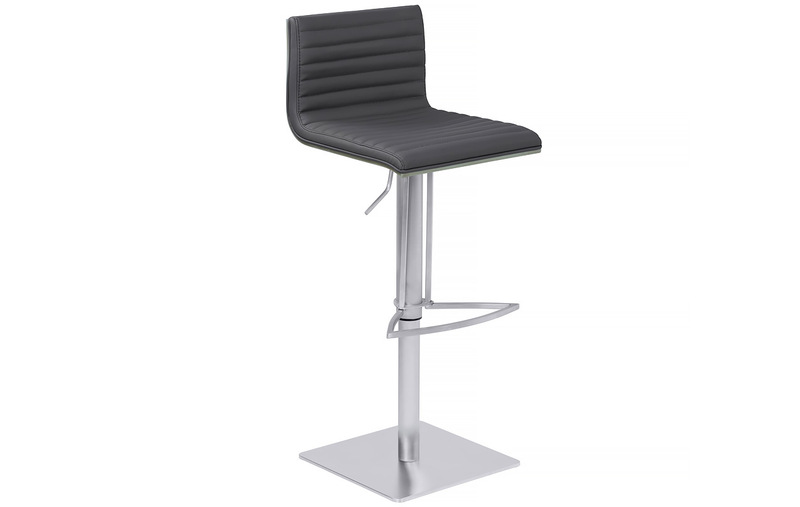 Available in grey PU seat with steel base, or grey PU seat with painted grey base, or white PU seat with steel base.